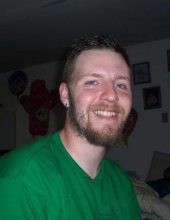 David L. Hopkins III, age 35 of Polk Twp., Kunkletown passed away on February 4th peacefully at his home. He was born in Morristown, NJ on August 17, 1983 the son of David L. Hopkins Jr. of Denville, NJ and the late Susan (Cole) Quadarella. In the midst of things we cannot understand, bring us peace as we remember the love that David shared with us. He will be deeply missed by his loving wife Amanda; his twin daughters; Jolene and Laura Hopkins all of Kunkletown, and many states beyond. He is also survived by his sisters: Jennifer Hopkins-Culley of Neptune, NJ; and Emily Quadarella of Saylorsburg, his loving step-father Walter Quadarella of Saylorsburg and many aunts, uncles and cousins. A Memorial service will be held 3 pm, Saturday, February 16th at Gower Funeral Home & Crematory, Inc., Route 209, Gilbert with Rev. Thomas Hendrix officiating. Family and friends are welcome to offer condolences on Saturday, February 16th from 1 pm until time of service at the funeral home. To send flowers or a remembrance gift to the family of David L. Hopkins III, please visit our Tribute Store. "Email Address" would like to share the life celebration of David L. Hopkins III. Click on the "link" to go to share a favorite memory or leave a condolence message for the family.